This stunning example of Mid-Century Czech design is immaculate. 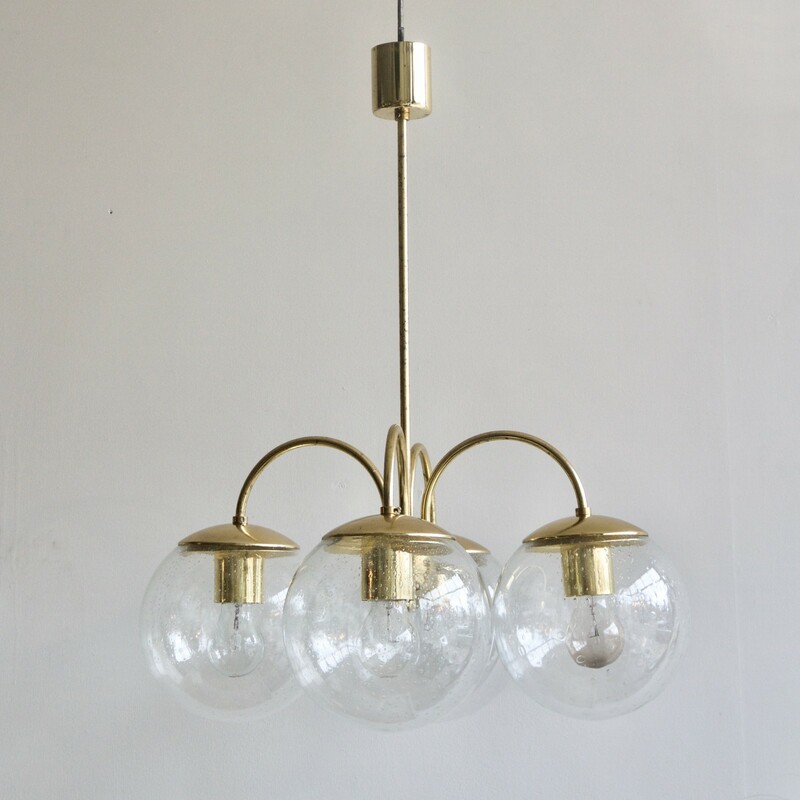 From its original polished brass frame to the individually hand-blown clear glass globes that sit onto the monks cap fittings. It would suit a large modern or period space.